It appears that there's a new Lego Star Wars game in the works, according to a comment made by Skywalker Sound's Matthew Wood at Star Wars Celebration. 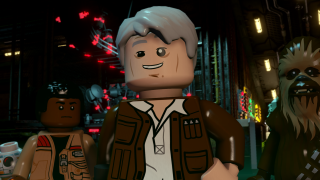 During the interview, Wood lists off the projects being worked on in 2019 and ends by saying "There's a Lego Star Wars game we're working on." The moment was tweeted by Jordan Maison and you can watch it below. Eurogamer has also spoken of its own 'sources close to its production' that points towards the 'ultimate Lego Star Wars game.' The unannounced game reportedly aims to encompassing the entire saga, rather than just The Last Jedi and The Rise of Skywalker.